Nas has kept his focus on Africa with an upcoming album and his work on a profile of Liberian amputee soccer players. (CNN) -- When it comes to tough-to-watch subjects, the aftermath of more than a decade of civil war is one of them, but rapper Nas says he has started to pay attention. The 36-year-old artist feels a connection to the amputee victims in the recovering African country of Liberia because he, too, saw a fair share of violence growing up in New York's Queensbridge housing project. But he readily states in an "E:60" profile of the amputees that his "realities were like a walk in the park compared to what these kids go through in other countries." Nas will lend his distinctive voice as well as his music to the profile of the war survivors, who have come together as the Liberian National Amputee soccer team, airing Tuesday night on ESPN's "E:60." The players bear the scars of the country's 14 years of civil wars, conflicts so violent that they claimed more than 250,000 lives. Nas, who has been working on a collaborative record with Damian Marley that focuses on Africa, has walked away from the experience of narrating the program with a new appreciation and respect not only for the sport but, more important, for the players. The rapper says that collaborating with "E:60" producers has given him new perspective on what it means to survive. "It touched me so much that these guys survived a war. They were child soldiers, forced against their will, their parents killed -- these guys have survived the most inhumane situation that you can imagine," Nas said. The rapper, who has been embroiled in a headline-making separation from wife Kelis, told CNN that his latest career moves are those of an artist aiming to do simply what makes him happy. An edited version of the interview is below. CNN: How'd you get involved with the documentary? Nas: My man Yaron [S. Deskalo] from ESPN contacted me about it, and I was into it. It's an amazing story; it's about people's lives. I was glad to become a part of it to figure out what is wrong, what is going on and why this is happening. CNN: You've also said that it's impacted your perspective on your own upbringing. Nas: We share so much. African-Americans growing up in inner cities, especially where I grew up -- and I can't speak for anyone else -- it was out of control in many ways. I can relate in a lot of ways. So it's like the music that American artists talk about, specifically in the African-American community, reflect what's happening over in Africa. The struggle going on and the violence that I grew up around in New York, it doesn't parallel the violence in Liberia -- that was the worst kind of violence during the wars -- but it suited the piece. That was one of the main reasons I felt like it was important for me to be a part of it: I already felt a connection to it. CNN: Did you know anything about Liberia's history before teaming up with ESPN? Nas: Things of that matter, it's hard on the heart for anybody to see something like that. I'm guilty of turning the channel when things like that are on. Until someone brings it directly to your attention, you don't really look at it, because there are so many other hard things going on in the world, to lock in on one is hard to do. It hurts to see anybody in pain, if you've got any kind of heart. CNN: Was it difficult to compose the score to help explain what's happening visually? Nas: I've already done it, actually. CNN criticized me for a song, "Shoot 'Em Up," claiming that it was unnecessarily violent and wrong for me to make these songs, but the people who made this film, who have traveled to Liberia and have witnessed these atrocities, they found my music fitting to this. CNN: Did working on the documentary overlap with your work on "Distant Relatives" [the album with Damian Marley]? Nas: Yaron was already working on this film piece while the music I was doing already had an African theme. I think we were all thinking in the same direction. CNN: What was the impetus to focus the music and message of "Distant Relatives" on the continent? Nas: No matter where you're from -- you can be Native American, Italian, Jewish, Latino, African-American -- whatever you are, we're all distant relatives. That's what me and Damian are saying. First and foremost, the Jamaicans, Haitians, Bajans, Bahamians, African-Americans, we're distant relatives to our long-lost brothers and sisters in the motherland, and we're connecting with them first. And then, second, is the whole human family -- everybody in the world is family. CNN: What was it like to collaborate with Damian Marley? Nas: Damian's someone who's not caught up in what's happening today and this and that. He's someone who's concentrating on what's happening tomorrow, so with that, you get no B.S. He's a straight shooter. When he talks, it's all real. CNN: Where have you been drawing your inspiration from? 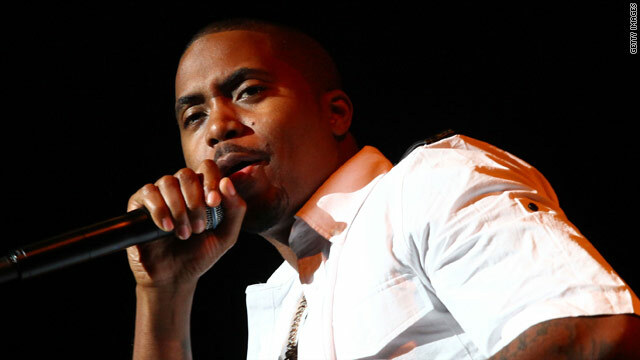 Nas: I'm inspired by people like Nelson Mandela. Can you imagine -- you know how racist America was back then -- imagine how racism was in South Africa when he had to stand up and say what he had to say. That's bravery beyond comprehension. Then to survive in prison and to come home and be so resilient, he's a role model in many ways. His eyes tell a story of glory. CNN: How do you see your work impacting awareness of what's happening in Africa? They were robbed of their lives, being forced into a war as children, and this gives them new life. That makes me happy for them, because I think about them as individuals, going through what they've gone through, and to be so positive after everything that happened to their lives is inspiration to me. CNN: You've been through a lot in the past year, between your personal life being in the news to working on your album and pieces like this one. Do you feel like you're in a different place right now? Nas: I'm in a huge Marvin Gaye stage. Everything except the drugs. Everything he's saying on "Here, My Dear," I live it right now; [people] don't want you to see your son, the money sh**, giving away your pocket ... The Marvin Gaye sh**, man. That's all I can say.